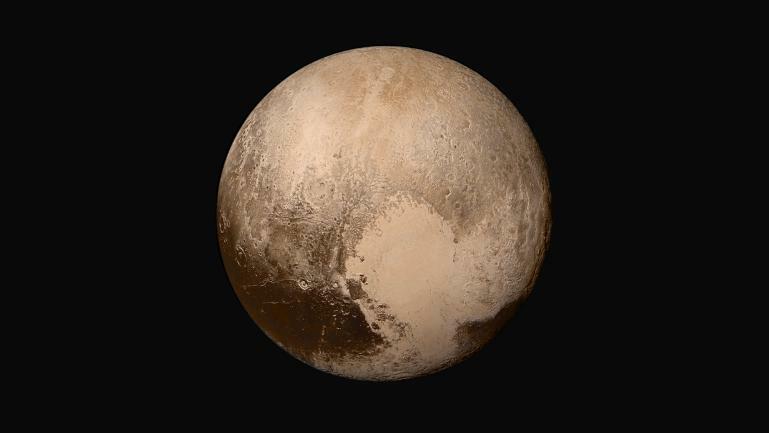 The last few weeks have been monumental for NASA, including the New Horizons spacecraft making its closest approach ever to the dwarf planet Pluto on July 14th. This composite picture of Pluto was put together using four different images taken by the Long Range Reconnaissance Imager (LORRI) on New Horizons and colour data from a different instrument. The pictures were taken when the spacecraft was about 450,000 kilometers from Pluto and have a resolution of 2.2 kilometers. Flaring, active regions of our sun. One shouldn’t stare at the Sun with the naked eye but its perfectly good to stare at this composite picture from several specialized telescopes (NASA’s Nuclear Spectroscopic Telescope Array; their Solar Dynamics Observatory and Japan’s Hinode spacecraft). 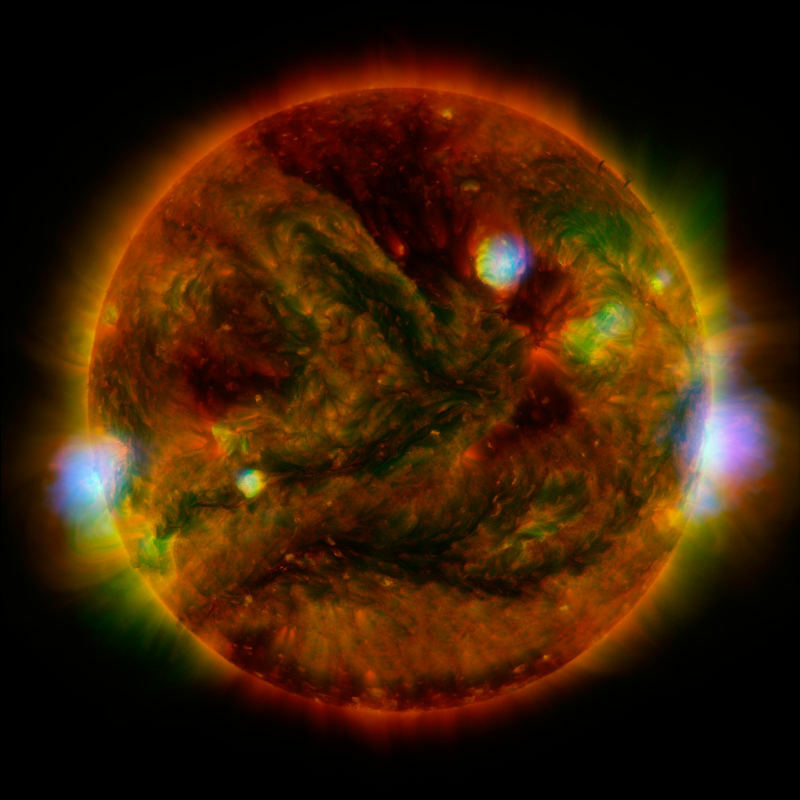 The active regions across the sun’s surface contain material heated to several millions of degrees with the blue-white areas showing the most energetic spots with mini-flares being ejected. 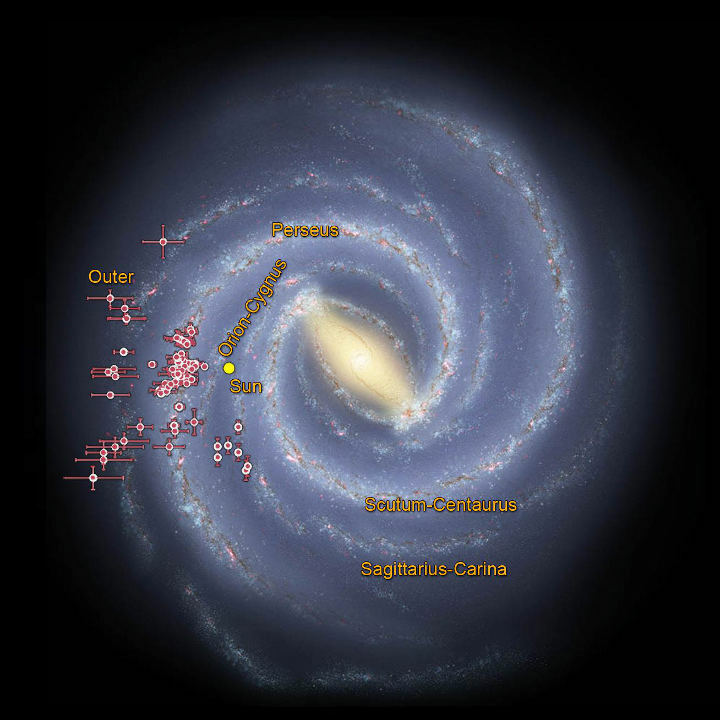 NASA’s Wide-field Infrared Survey Explorer (WISE) contributed data which helped astronomers and scientists put together this image of our Milky Way galaxy, in its very familiar spiral arms shape. Residing within the spiral arms are clusters of young stars that are shrouded in dust. These newly discovered stars are called embedded clusters. NASA’s Terra spacecraft utilized its Advanced Spaceborne Thermal Emission and Reflection Radiometer (ASTER) camera to take this picture on Earth. The Wolf volcano on Isabela Island in the Galapagos Islands recently erupted with lava flows accompanied by ash and smoke. 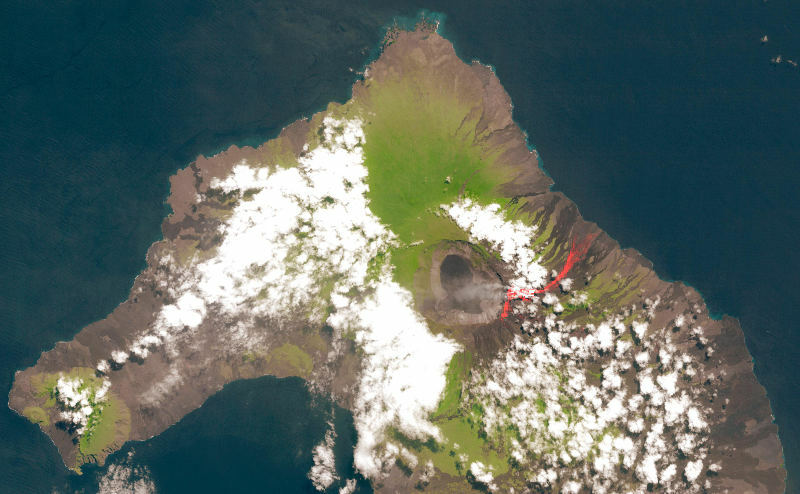 The hot lava flows from the eruption are highlighted in red in this thermal infrared image. This view of Saturn’s rings was taken by the Cassini spacecraft’s wide angle camera. The picture was taken at a distance of 911,000 kilometers from Saturn and at a Sun-Saturn-Cassini, angle of 37 degrees. 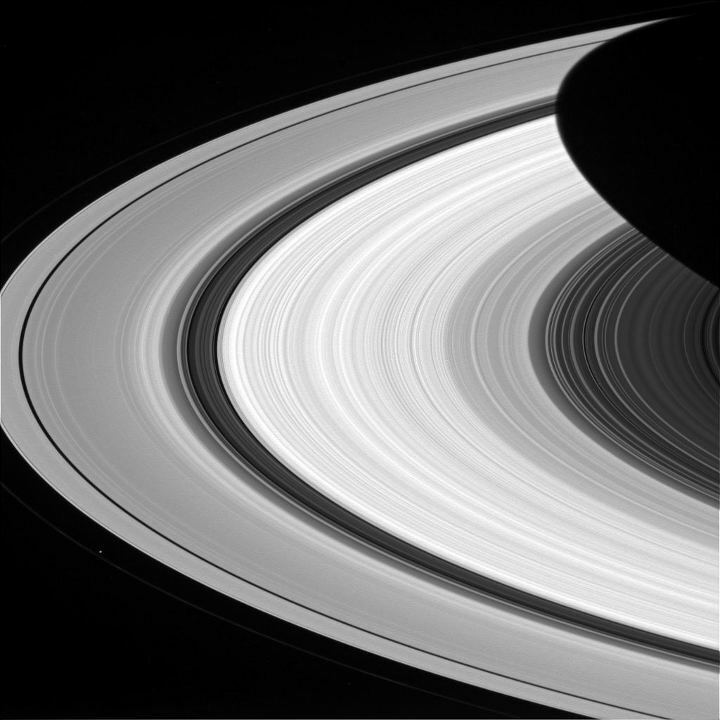 The rings of Saturn look like flat platters at in this picture. Also (barely) visible near the eight o’clock position, by the planet’s A-ring, is Saturn’s satellite Prometheus.